I’m always up for learning some new skills. And as I regularly harp on about the need to diverge with skills, as the creative industries converge, I spent a day as a camera director for a concert shoot in Preston. 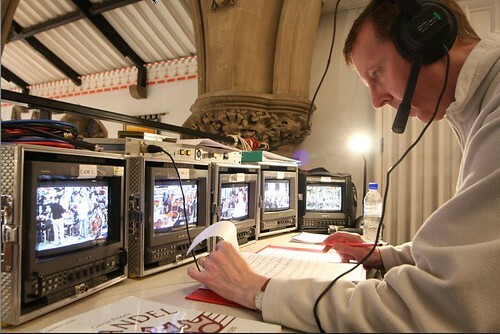 The gig was a choir and orchestra concert at Preston Minster, directing 5 cameras. I had the scores to read and needed to have cameras pointing at the right place at the right time basically! Think it went well, though the editing will be the judge. The job made me focus on how a music performance can be visualised. Shots of the right performer at the right time is one thing, but pan, zoom and registration all have to respond to the emotion and passion of the performers, as well as the texture, flow and character of the music – in this case, Handel, Vivaldi and Puccini. This job came through blast-from-the=past Bob Christie at Langdale Productions. I met Jim Copperthwaite through a KPM library music project and he recently landed a choice gig to score the latest Stella Artois tv ad. My role was to prepare the score. Music notation is still a great communication tool, even in these days of multi-media and technology that allow anyone to make music (like Garageband). Music notation still plays a significant role between musical ideas and performances. We wanted to ensure the score encapsulated Jim’s ideas and inspired the performers to produce more than just the right notes, rather a performance with life and vitality. 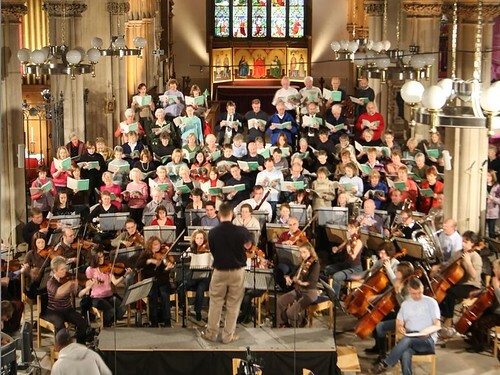 Of course, much of this interpretation would come in the session but if the score got close to drawing out the best from the musicians then session time could be devoted more to perfecting this than simply achieving it. Jim supplied audio (the score played with samples) and midi and I imported this into Sibelius. Even though it was a short-notice gig (aren’t they all in advertising?) we passed drafts of the score back and forth, adding updates and discussing performance markings. Here’s the result; a score that (I feel) really captures the life, fun and emotion of the movie. The score is online as a Sibelius Scorch file here. Henry Priestman has come full circle – from his band days with the Christians, through numerous production projects and back to a band, this time his own. I put strings on 3 tracks, including this great fun song – r.e.d.u.n.d.a.n.t. If he gets to Glastonbury, he’s promised me a gig. Knackered, but content, after a short session in the middle of a long day. 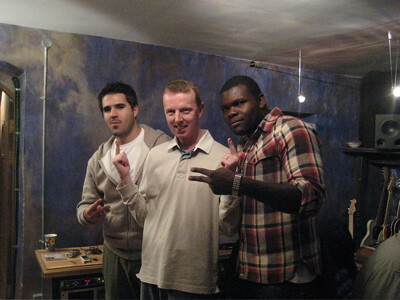 The session was in Dublin, for Laura Izibor, produced by Darren and Tunde of Futurecut who have been on a roll of success since I first met then doing the Un-cut album. We only had one song to record (Everytime) and used top Dublin players. 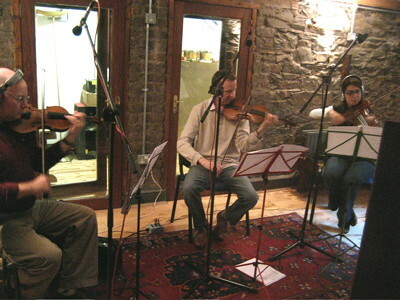 The studio was Cauldron – great guys and a great vibe! 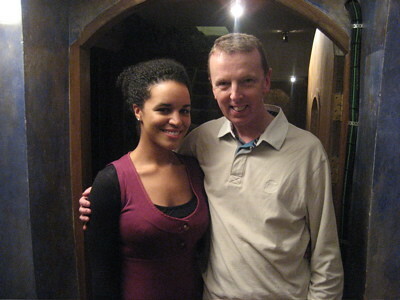 Laura has an immensely appealing voice and writes hook-filled songs. Strings were simple but effective. It sure beats working for a living.